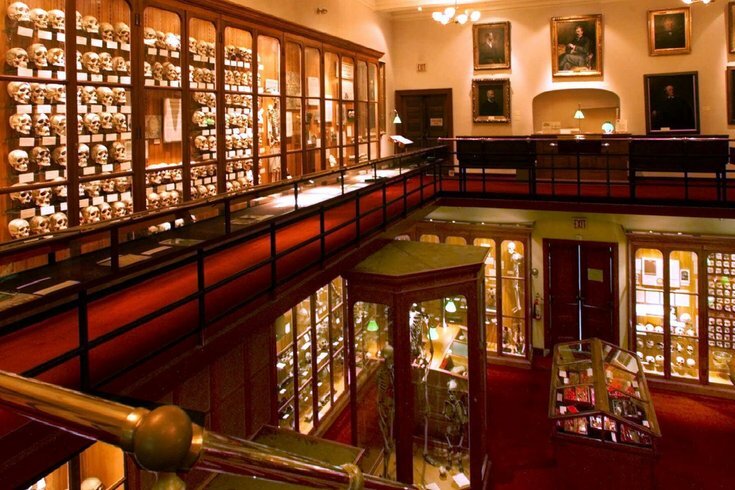 This is an overall view of a portion of the two floors of the Mutter Museum in Philadelphia shown Monday, July 12, 1999. The museum was started by Thomas Dent Mutter, a professor of surgery in the city, in 1856. The Mutter Museum will host a special event in its Civil War medicine exhibit "Broken Bodies, Suffering Spirits" on Saturday, May 6. Historical re-enactors will dress as doctors, soldiers and other professions from the Civil War to discuss what soldier and civilians ate and why. Included will be a tasting (occurring every hour from 10 a.m. to 2 p.m.). There will be treats from Philadelphia’s Franklin Fountain and Shane Confectionery, too.